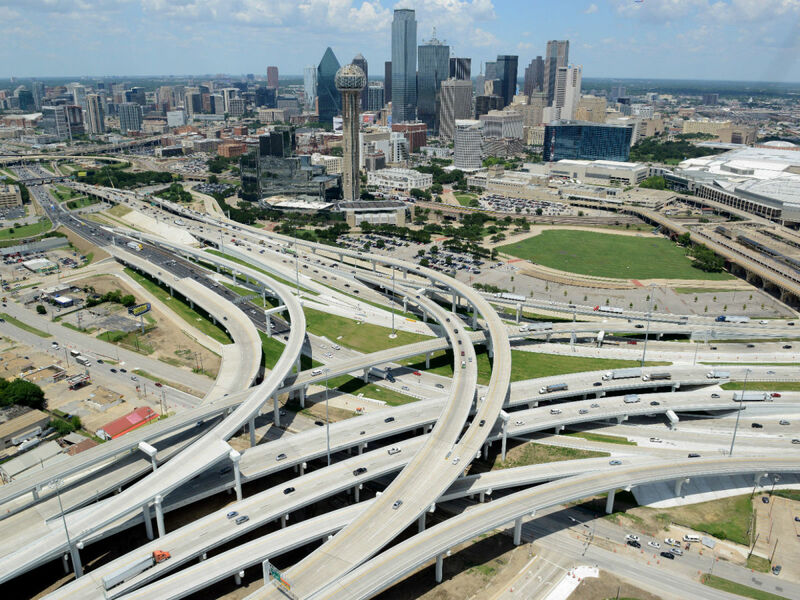 St. Patrick's Day weekend will bring a major traffic shift for Dallas motorists driving on I-30, as well as a brand-new freeway connection in the Dallas Mixmaster. 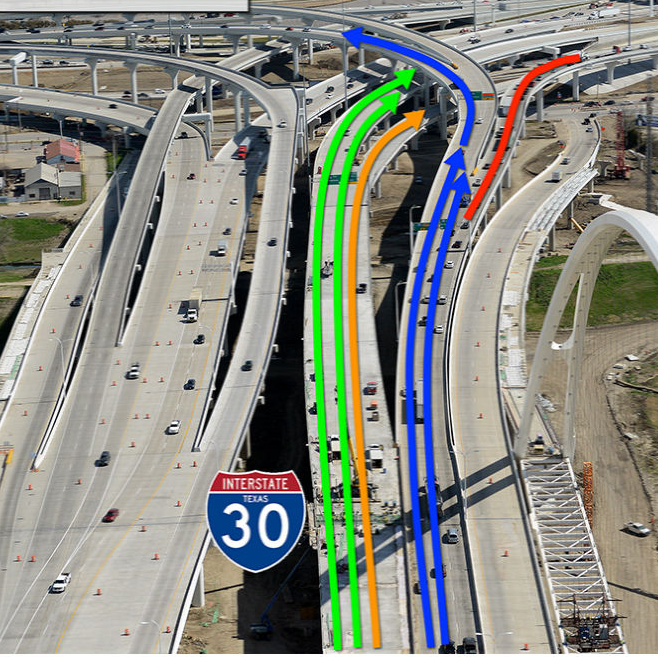 The new direct connector will allow drivers who are moving eastbound on I-30 to go directly to southbound I-35E. 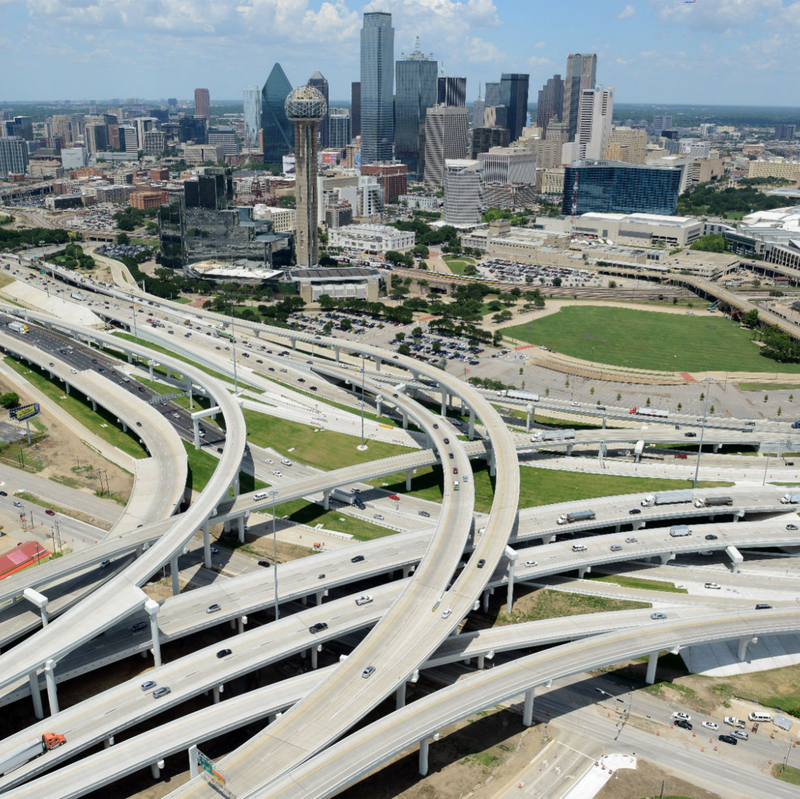 It replaces the old routine where you had to exit the freeway via the Riverfront exit to get an on-ramp for I-35E. You can access this new freeway exit, labeled Exit 45B, by staying in the middle lane just after Beckley Avenue. 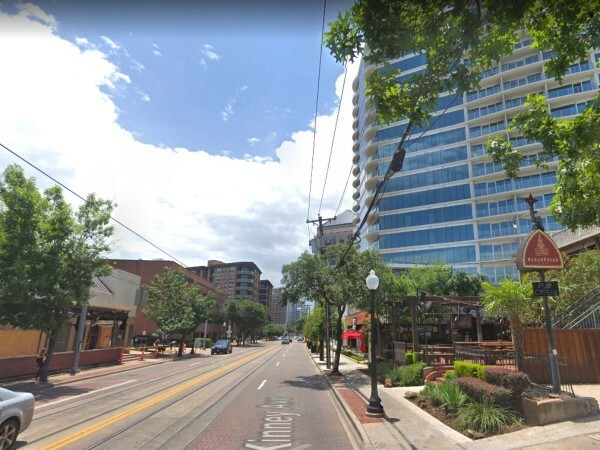 The shift will move eastbound I-30 traffic — coming from Arlington — to the two left lanes between Beckley Avenue and Riverfront Boulevard. If you're eastbound on I-30 and headed northbound on I-35E, the exit will now be to the right. Work to perform the traffic shift will require various lane closures along eastbound I-30 on the evenings of March 17 and 18. All lanes will be restored in their new alignments by March 19. 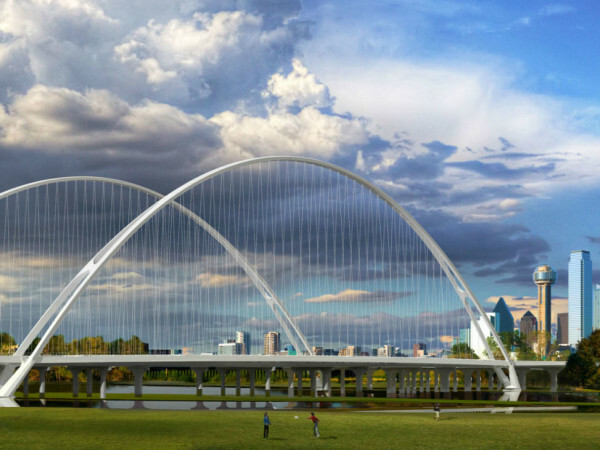 For drivers coming from Arlington into downtown Dallas, the new "decision point" to split off into different directions will fall just after the Trinity River and the Margaret McDermott bridge arches. 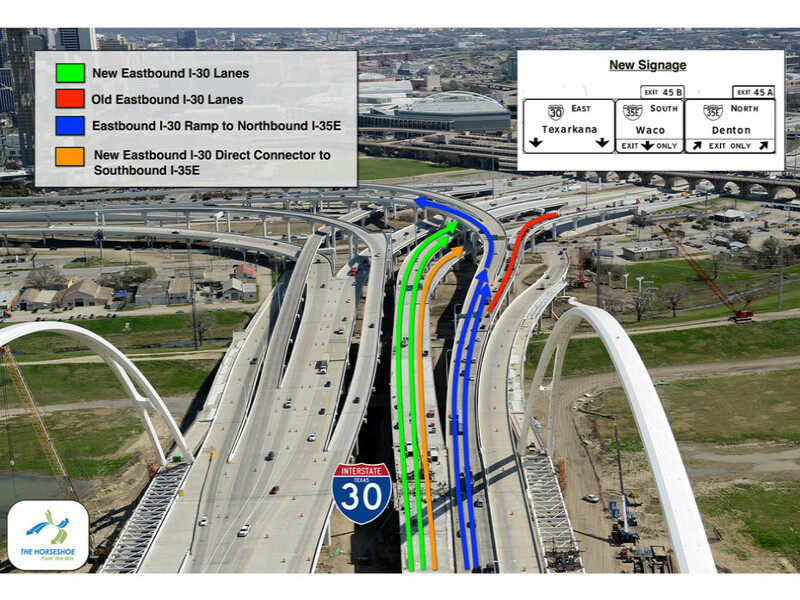 New signage for eastbound I-30 will direct traffic to remain in the left lane as well. Traffic headed north on I-35E will stay on the right. Drivers will get plenty of warning, beginning with digital message boards just after Hampton Road. All work is subject to weather and may be postponed if necessary. Message boards and signs will be placed along the roadway to advise motorists of the new traffic movements. If the photo above does not fully convey the magic, you can also see it explained on a video, posted here.